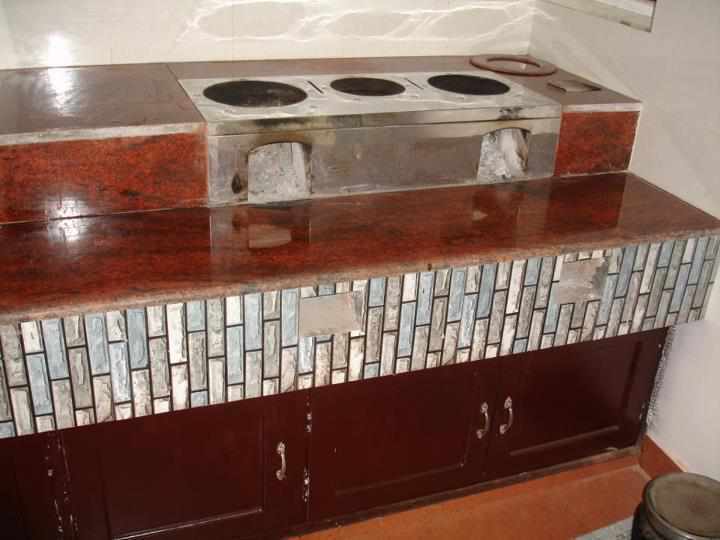 Smokeless Ovens (hearths) are a feature of most Kerala homes these days. It is an integral part of the Traditional Kitchen where firewood is used as the cooking fuel. 1. 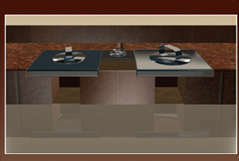 It is built-in using granite slabs and optimally spaced cooking pits. 3. It consumes lesser fuel than normal hearths. 4. There is no need to construct a large chimney, as the smoke is transferred to a vent-pipe that expels it to the exterior. 5. 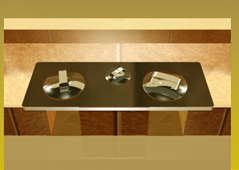 The middle hearth does not need additional fuel if both the side hearths are functional, thus adding to the fuel-savings. 6. Increased health benefits as there is no smoke-inhalation by the user. 7. It can be constructed within pre-determined spaces and budgets. In Kerala, Smokeless hearths are of two kinds- the Aluva Aduppu and the Parishad Aduppu. The practice of making this kind of hearths was initiated by some industries in Aluva and then gained popularity throughout the State. In 1987, Kerala Sastra Sahithya Parishad (KSSP), a premier People’s Science Movement in Kerala, developed the Parishad Aduppu. This smokeless Chulha has three times higher fuel efficiency than conventional wood burning stove, reduces indoor pollution and helps improve cleanliness in the kitchen. Through ANERT (Agency for Non-conventional Energy and Rural Technology), this chulha has been extensively popularized in Kerala. Kerala Sastra Sahithya Parishad identified the issues involved in the cooking methods generally followed in Kerala kitchens. Most of the rural and some of the urban families depended mainly on firewood for cooking. The traditional three stone hearth (oven) was the normal cooking mechanism. In this the cooking pot is kept above the three stones (stones fixed in a triangular form) and firewood burned in the hollow space at the bottom. Naturally, the person (woman in most of the houses) who attend to this take lot of strain to burn the firewood and help boiling the contents in the pot. On study it was seen that only about 10% of the temperature generated by the burning of the firewood were used for cooking purpose, rest of it was wasted. Additionally the smoke emitting out was giving lot of trouble to those in the kitchen, especially the one who attended to cooking, very often leading to lung complaints. This issue called for immediate attention of the workers and their attempt led to the improvement of the hearth. 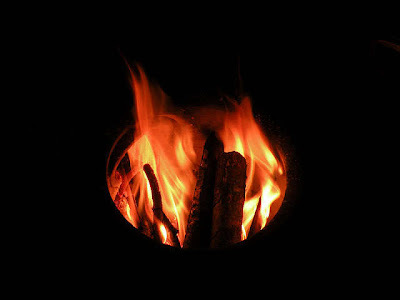 The improved version of firewood hearth was 30% efficient compared to the 10% of the original one. This implied less consumption of firewood (in effect one month's firewood would be sufficient for three months!). Additionally, the hearth was so designed such that the smoke never spreads in the kitchen. Complete smoke went out through an attached vent pipe, which helped improve the health of the user. Thus the new modified hearth helped improve the efficiency, reduced the health problem of the user and cut the consumption of firewood. Thus the house hold economy, health and environment protection were addressed simultaneously by the introduction of this “smokeless hearth”. With the support of State Government and local self Governments, smokeless hearths were fitted in more than two lakhs of houses in Kerala. The success of the Parishad Aduppu prompted KSSP to start a research and training centre under the control of the organization, for addressing similar problems and catering to the needs of the rural development. This led to the establishment of Integrated Rural Technology Centre (IRTC) in the year 1987. 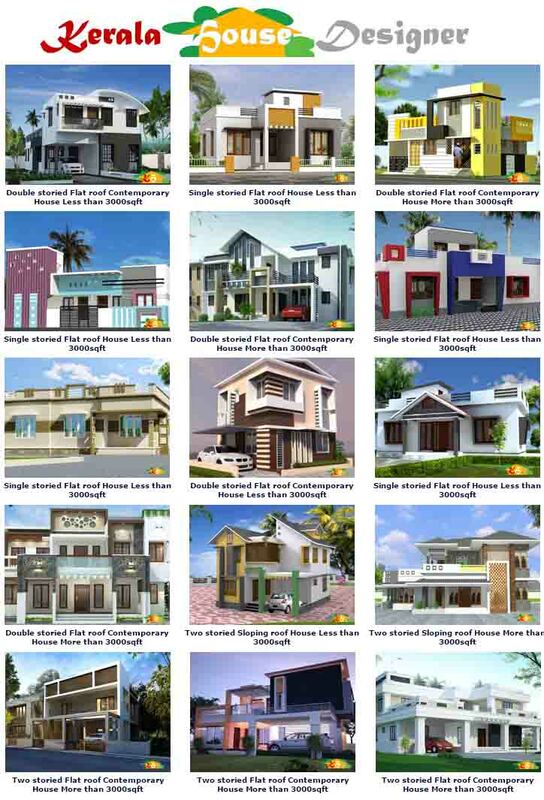 If used extensively, the high efficiency chula ie Parishad Aduppu can reduce CO2 emission to the atmosphere to 35 Million tons from 103 Million tons from 30 lakhs of houses in Kerala. Conventional chulas of small islands where the local source of fuel is firewood and other bio-fuels can be replaced by Parishad Aduppu which will be an important tool for mitigation and adaptation programs of climate change, in general and in Islands and Small Islands in particular.